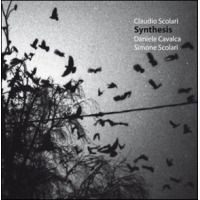 Using only voice, percussion, and synthesizers, Italian composer/percussionist Claudia Scolari blends ambient, darkwave, and world music textures to create an album of dramatic musical landscapes. 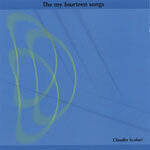 Heavily minimalist and more organic than most ambient electronica, this music will tip those familiar with O Yuki Conjugate, Main, A Small Good Thing, and other similarly texture-oriented bands to the roots of Scolari's experimentation. Those unfamiliar with this heritage will be stepping into foreign realms far removed from mainstreamand even most avant-gardejazz. This doesn't mean jazz aficionados should shy away from this artist. Quite the contrary. 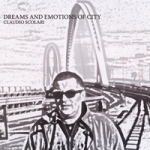 Scolari's work is intricately composed, highly original, and distinctly personalall qualities that mark steps forward in musical innovation. 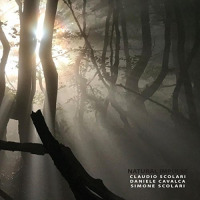 On this collection, more a complete experience than a set of individual pieces, let alone "tunes," Scolari employs a diverse array of percussive tools from around the world to establish expanses of sound that depict physical environments, moods, abstract concepts, periods of time, and distinct physical attributes. 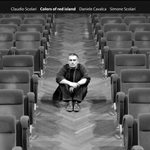 Alternately vast, particular, cinematic, contemplative, embracing, removed, warm, and icily ethereal, Scolari's Reflex fully embraces the compositional potential of percussive sound and demands precise listening. 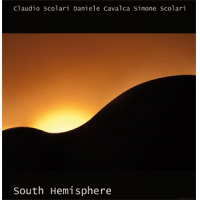 Visit Claudio Scolari on the web.